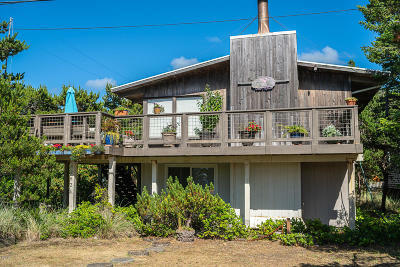 Ocean views from this two level home in the heart of Neskowin. Stone fireplace, open floor plan with exposed beams, lots of decks. Designed to sleep up to 10 people, currently in rental pool (check with county for future rules). Close to beach access and miles of beaches.